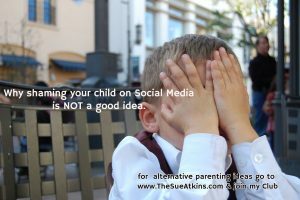 Why shaming your child on Social Media is NOT a good idea. I’ve just spent the morning filming a video for The Sun newspaper around their new campaign around shaming and blaming and humiliating children on social media. What is shaming & what it does to children. As human beings we are wired to connect and seek acceptance from our loved ones, particularly our parents when we are growing up. Some parents use shame as a discipline tool to control their kids. Shaming may make parents feel like they’ve won the battle, but the reality is, they’ve lost the war. Shaming children violates their trust in you and can lead to permanent, lifelong problems. Harsh, critical parental behaviour that produces shame- damages a child’s self esteem. Humiliating a child can traumatise them – leaving scars that last a lifetime. Children who are shamed suffer self-doubt, depression and anxiety. When parents do this, it was usually done to them. They are repeating a cycle of bullying, even abusive behaviour, that only serves to perpetuate more bad behaviour, as kids take out their anger on others at school or at home. Shaming is also often a last-ditch effort by parents who have tried other ways to curb their child’s ‘bad’ or unhelpful behaviour. When a parent can’t think of anything else to do, they resort to shaming. They think by shaming their child, they will conform to their requests or demands or rules. But shaming is a loss of control and a display of immaturity from the parents. It’s not ‘tough love’ – it’s abuse & bullying. Shaming behaviours make us feel superior to that other person, as well as communicating to them that we wish they’d be or act differently, without us having to actually ‘Talk & Teach’ them a better way to behave or make better choices. Shame, in whatever form it takes, is a way to control the other person by using their deeply ingrained need for connection to threaten them with disconnection. It’s manipulative, damaging and unkind. What is social media shaming? Posting on YouTube, Twitter, Instagram or Facebook is the new ultimate humiliation. Add the use of social media into the mix and you have a very unhealthy cocktail. This is all about the parents need for significance and their 15 minutes of fame as their destructive, humiliating video goes viral. This boils down to the parents need for significance and you can see how damaging this very public humiliation can be to their children – gone are the days of it being contained in your living room or kitchen now it can spread all over the world for anyone to see. It will last a lifetime not only as it joins a digital footprint but as it scars their hearts, souls and memories. Not only is shaming potentially damaging, it places kids in danger. Child predators go online and look for insecure children with low self-esteem. A parent who publicly shames a child also makes him/her a target for bullies at school. After all, anyone can view what’s shared online. Parenting is a marathon not a sprint – you have to take the long term bigger picture to raising a happy, confident, resilient child. Shaming may make a you feel like you’ve won this battle, but the reality is, you’ve lost the war because humiliating a child erodes trust and a child’s sense of security permanently. Children respect those who respect them. Build a child up not tear them down – remember you are building memories that last a lifetime – make them magical. ‘Talk & Teach’ them by example the behaviour you want to nurture – patience, kindness, tolerance & forgiveness. Shaming and humiliating children is emotionally abusive, just as it’s not OK to smack children physically it’s not OK to damage them with words either. Children deserve and are entitled to reach out, attach and bond with their parents. Parents need to provide safety, protection, acceptance, understanding and empathy. When this happens, children grow up knowing their own worth and demand respect from themselves & from others. They grow up relaxed, positive and enveloped in kindness and love. They grow up free to express themselves & make mistakes free from ridicule. When children are emotionally or psychologically abused, they grow up feeling unloved, unwanted, unworthy & undeserving, – it will impact on their attitude to Life, friendships & relationships. They may resort to hanging out with the wrong people to feel connection & significance. They may take drugs to numb their pain or lash out in anger as they have suppressed their feelings of humiliation. Good parenting shows children respect and empathy. When a parent truly gives respect to a child, they receive it back. When this becomes the norm for the household, children & young people grow up with a loving value system that makes a big difference in the world. Children can bloom, blossom & flourish. 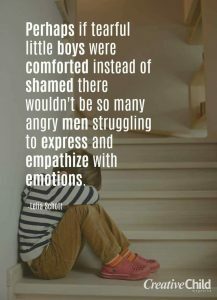 However, when children are shamed & humiliated and then silenced, their emotions get repressed as the child isn’t able to express their hurt & the harm may re-surface later in life. If this happens, it can be in the form of self-destruction or cruelty to others. Whether you are aware of it or not, like it or not or are even mindful of it or not, you are your child’s primary role model as they are watching, listening and learning from you ALL the time. So, as parents you need to model the behaviour you want to encourage in your children. Kids look to you for guidance to know what’s socially acceptable. Treat your children like you want to be treated – with love, patience, kindness & respect – ‘Talk & Teach’ them your values – help them learn from their mistakes & be a role model for the behaviour you want them to copy. Let them know it’s OK to mess up, get things wrong & make mistakes as they are young and learning….. Ask them a better question ‘What did you learn from that?’ so that they don’t continually make the same mistakes over and over again. Resist the urge to punish. ‘Talk & Teach’ instead – kids need firm, fair & consistent boundaries & use appropriate consequences. Kids are motivated ‘towards something ‘like a sticker or an extra story at bedtime or ‘away from’ – just try taking away your teens mobile phone for an afternoon! – work out which way your child is motivated & you’ve cracked it – with kindness. Punishment, by definition, is an action with an intent to hurt, either physically or emotionally, in order to teach a lesson. Punishment is effective only to the degree that the child experiences it as painful, so while parents may think they’re using “loving discipline” to teach their child, their child will never experience that humiliating pain as loving. In fact, the child will experience shame. Punishment intensifies the shame response, to toxic levels, and sends the clear message that the child is so bad that the people who are supposed to nurture and protect them are intentionally hurting them either physically or emotionally. Your child might respond to this by trying very, very hard to be a very good girl/boy their whole life. An adult like this has a tendency towards anxiety or depression. A people pleaser. Or, they might respond with anger. These kids become defiant and resist their parents’ guidance & often find it hard to control their temper. Kids are looking to their parents for guidance on how to solve their problems, not to draw attention to the areas in which they may be struggling. Sit down and talk regularly with your kids. Pick a neutral space, like the kitchen, instead of a bedroom, so everyone is on an equal footing. Give everyone the same amount of time to speak. Actively listen to your child. Maintain eye contact during the discussion. Say how you feel; don’t defend. Help them to make better choices – teach them responsibility. The best weapon against shame is empathy. If we tune in to our empathy, our ability to understand how it might feel to be in someone else’s shoes, we can understand how painful it is to hear shaming words. If we’ve resolved not to cause harm to others, we can use this empathy as a way to turn off the instinct to shame others, and as a reminder to choose kinder words when we need to communicate. 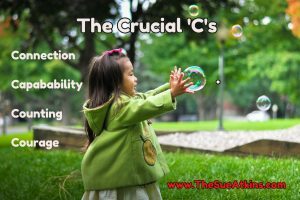 “Are the words we are about to say necessary, helpful, and true? Remember you are there to guide, nurture and to encourage your child & to help them grow into a wonderful, well rounded, happy, confident adult. How To Spot The Difference Between Teen Depression or Just Bad Moods.